And not reminded simply of 9/11. But of places like the Persian Gulf, Vietnam, Korea, Normandy, Pearl Harbor and every little skirmish or incident in between where a military serviceman or woman lost their life defending the cause of freedom. These people can’t be remembered enough and it’s up to us as parents to pass that ideal on to the next generation. If we don’t, how else will they come to learn what has been done for them? How will they learn to appreciate the freedoms they possess? 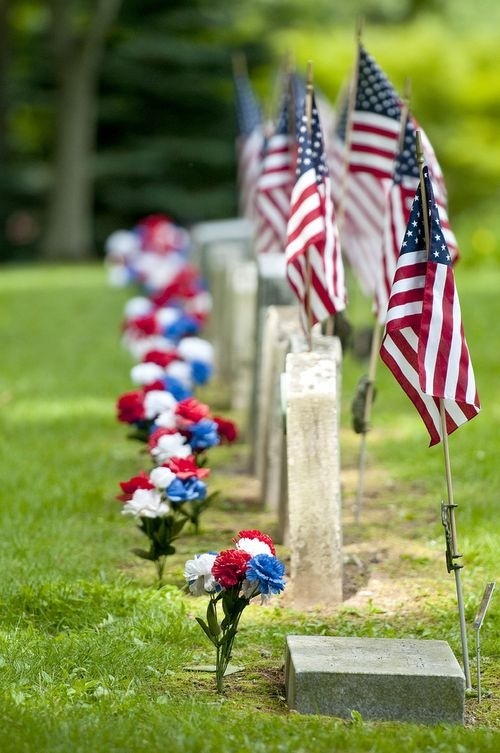 Memorial Day is more than barbeques and the beginning of summer. It’s a time to honor those who gave their life in serving our country. To the families of those who have lost a loved one in the line of duty, we say “Thank You.” Their sacrifice will not be forgotten. Its important to learn how to help kids connect to the events of the past. Its easy for us to realize the disconnect young people today have to 9/11, but its important to recognize it for things further in the past as well. Well said Brian. I still remember so many details about that day. I was watching the news about the new museum and they were showing what the museum was about and I was in tears after watching it. I can be brought back to that moment in an instant. Although rightfully so there was a lot of news coverage about that day, there are still men and women who are losing their lives today to protect our freedoms. We shouldn’t ever forget that. One of the few times I remember exactly where I was and what I was doing when an event happened. Thank you, Brian. It’s always sobering to have a reminder of those who have fallen to protect our rights. With the distractions of life it’s easy to forget…but we never should. As a child of a retired military serviceman, in our family it is important for us to teach this to our child. I hate that with the ongoing nature of the battles overseas that it has left the mainstream news media, but families lose children to war all the time and it is a sacrifice they are prepared and forced to make everyday. It should be honored and commended as much as possible. The impact on the kids is not addressed nearly enough. Anything we can do to help them cope with the loss would be a positive. Great post, Brian. It’s important to remember EVERYDAY those veterans and those who have passed away serving the country. Completely agree DC! We owe them so much. We need to remember always, starting with honoring those who died in service. Happy Memorial Day, Brian.